(and time) to make it all look easy-going. The experienced staff at Tiffany’s can work with you to achieve the look and feel you are visualizing for your wedding day. Casual or formal, indoors or out, our extensive inventory means you have a wide variety of choices from dinnerware and glassware to table linens and wedding décor. 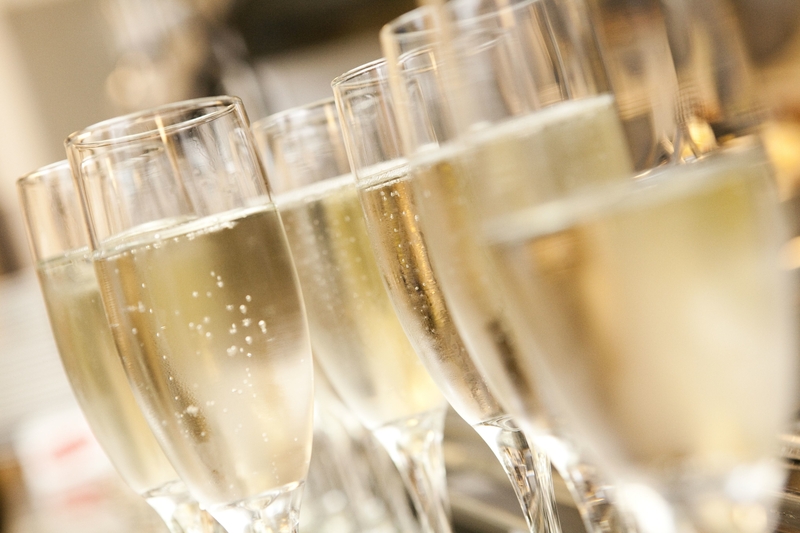 We’re here to help you throw a great party! 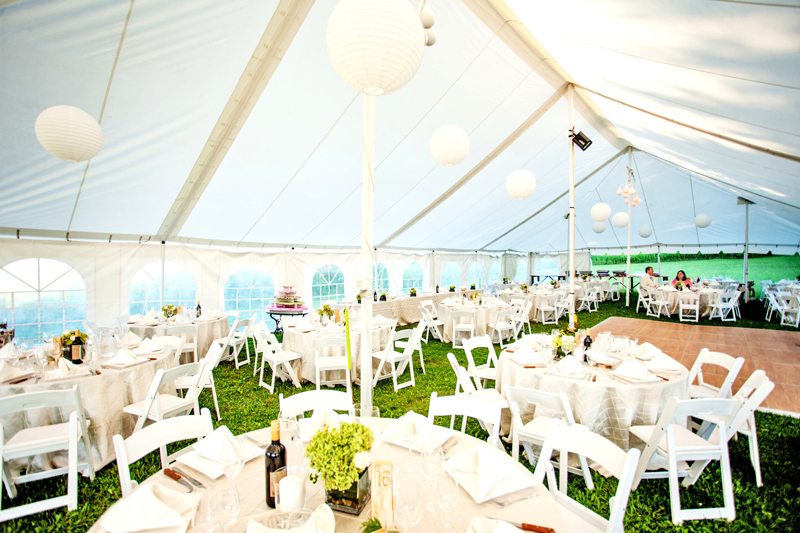 Tents, canopies, tables, chairs and a whole lot more! Stop into our showroom to see all the items we have to make your next event enjoyable and easy! Whether your corporate event is strictly business or mixing business with pleasure, you’re in good hands with Tiffany Party Rentals. We work with a network of other professionals to make it all exactly right. All this for a surprisingly small impact on your bottom line. On behalf of the Knights of Columbus Barrie Council #1626 and Barrie Hill Farms we would like to thank you for supplying the coffee urns for our 8th annual Blueberry Pancake Festival held at Barrie Hill Farms on July 24th & 25th, 2010. Net proceeds raised at the event this year increased significantly to $6,650. The success of our Blueberry Festival is very much dependent upon the support of local businesses like Tiffany Party Rentals. We very much appreciate the help that you have provided in the past and trust that we can rely on your continued support for our next annual Blueberry Festival which will be held on the weekend of July 23rd & 24th, 2011. I would like to take this opportunity to thank you and your Company for donating the use of your Company's resources. It helped make Christmas Cheer 2010 one of our best ever. We helped approximately 1860 families, 1600 children and approximately 5200 people. Rob, being able to get the 30 tables sooner than normally required enabled the Toy Committee to get all our supplies and last years 89 boxes of toys to our site. We were able to have all these remaining toys from last year sorted and start to fill toy bags for the children. Our sincere thanks to you and your company and for the use of your equipment. It was greatly appreciated and we used it to it's best potential. I would just like to thank you and your staff for the excellent service we have received over the past 15 (or more) years. Rob and his staff are always friendly, helpful and on time. It is a pleasure doing business with you. Thank you for making our daughter's wedding a great success. We want to thank all who were involved, from the selection of dishes and utensils to the support and assistance to Christine (our caterer) and Roz (our co-ordinator). The fellows who delivered & then picked up everything were very professional but also courteous & personable. Great Ambassadors for Tiffany's. Changes to our original order were handled efficiently, and even our last minute additions. Thank you! We made a great choice with Tiffany's.